So, two days ago Aesm and I decided we are going to create a dating sim. There will be more information about that later. This post is mostly just an information post. For the dating sim, we need an artist, so if anyone wants to give it a shot for us, send me an email. If we produce the game, you would get paid for your work. Also, the WIP Scans scanlation group is on Hiatus because we lost our translator. If anyone can translate Japanese and would like to join the team, that would be so amazing. I’m sorry about the lack of anime posts lately. I’ve been slacking a lot. On April 1, I am planning to start an anime challenge, so hopefully I will get more posts out and catch up on most of the posts. Here is a cute photo. 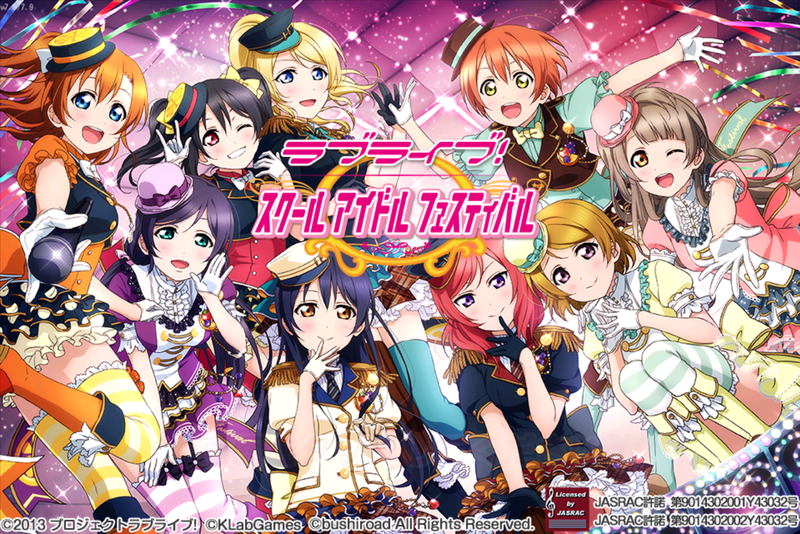 Lately, the English version of Love Live School Idol Festival has felt a bit dull. The best part about the game right now is the new expert song for the event. The song is Binestu kara Mystery. Here is the song. It is fun because it is hard. This is also the first song to break the 500 combo limit. It took me a few tries to finally get a full combo, but it was exciting when I finally got it. 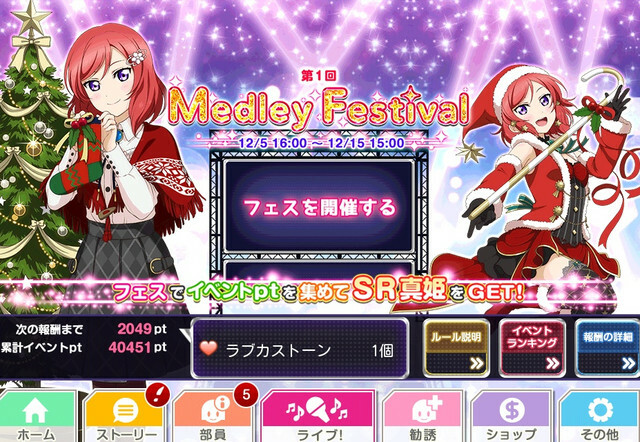 The first difference is the new kind of event that is out called Medley Festival. The event allows the player to spend a certain amount of life points to play either one, two, or three songs in a row. To begin, the player goes to the event page and clicks on the screen. Next they choose the level between easy to expert. Then decide how many songs to play. All the songs chosen are the same color, so you don’t have to worry about picking between color teams. Then you get the choice to get bonuses at the cost of money in the game. You can choose not to, and if you get lucky you might get a random bonus in the game. Then you play through all the songs you chose, unless you lose. The combo is held between all the songs and at the end you get your event points. It is a fun way to get rid of life points quick, and it is a lot of fun to get 800+ combos. Another difference is the new ultra expert songs. They are faster and more challenging than expert. It has been fun trying those, but because I’m a low level I don’t get much bonuses to help. I have made it though a few, and it is quite rewarding. The daily songs seem to get an ultra expert and so does an extra daily song. There are a lot more options for expert songs in this version. Also a bunch of new characters. It is really fun to get new characters I’ve never seen before, and I can finally get the new rare characters. There is an interesting new way to scout for characters too. There is a new system that gives you blue scout tickets. When you get five of these tickets, you get one new SR or UR characters. The chances are 80% for a SR and 20% for an UR. You are also given the option to just one blue scouting ticket to get an alpaca or teacher card to help boost your pre-owned characters. I think the part of the game I’m enjoying the most is the new songs. There are a ton of them that I’ve never seen before. I like all the options in this version too, for the B-side. Although I don’t understand a bit of what is happening, I have enjoyed getting the Japanese version of this app because of the new aspects of the game and starting fresh is really fun. Because of the four hour long lab I had today, I want to make a short post. I just found out of Monday that Ohayocon is happening this weekend in Columbus, OH. I happen to be in the area, so my friend and I are hopefully going. This will be my very first convention, and I am really looking forward to the Love Live School Idol Project panel and the Warring Idols Panel. I will hopefully blog about the trip after it happens, or I will for Aesm or BroadwayOtakuFairy to take over while I sulk in a corner like Tamaki. Information about Ohayocon can be found here. 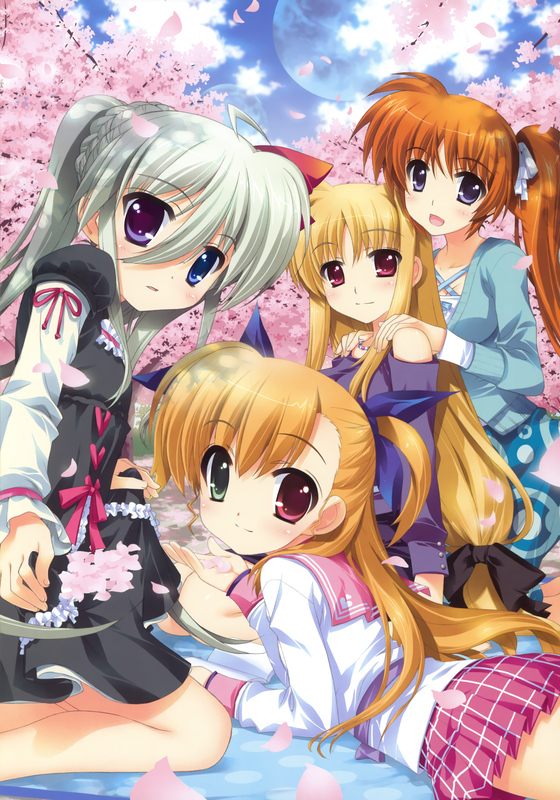 On a side note, I am currently watching Mai-Otome and I really want to write a post about Shizuru and Natsuki. They are so canon! …. And yes I might be slightly behind on the simlucasts, but I will catch up soon. Although anime music is fun to listen to on it’s own, many people like to manipulate the songs to fit their own interest. This is how we get anime remixes, nightcore, gender switched songs, covers. Each of these are activities fans enjoy to do to feel closer to an anime or just for fun. Anime song remixes/mash-ups are probably the most uncommon way to changing anime songs. Remixing requires a good remixing program and a musical ability to mix two songs together. When it is done really well it is amazing, but it ends in train-wrecks a lot. My friend, Issue.Shah, enjoys making his own remixes, and lately he has been taking anime instumentals and adding rap songs over them. It is really impressive, and I plan to share his music later. Here is one of my favorite mixes: It is by Kino and it is a mix of Connect, the opening of Madoka Magica, and Be Starters, the opening of Mayo Chiki, mixed into one great song. Click Here to Listen. 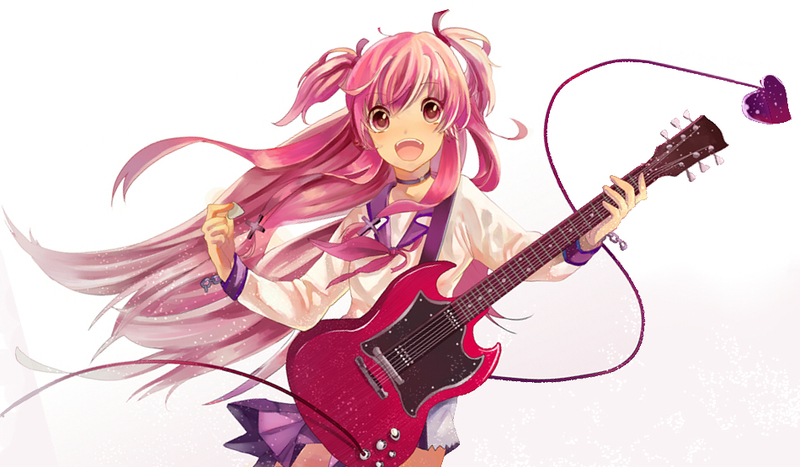 Nightcore is a specifically speeding up the speed of a song, and it also changes the pitch of the song. This is the easiest and most popular way to change an anime song. Simple music programs can be used to just speed up a song. It does take some listening to make sure the song isn’t to high or to fast. Usually people make interesting videos on youtube to go with their nightcore songs. Here is a nighcore version of Courage the second opening for Sword Art Online II by StrikeKanata Nightcore NEW. For anime songs, people enjoy pitching the song up or down to make it sound like the opposite gender sang the specific song. This can easily be done using a simple music program, like Audacity. It is a little harder than nightcore because you should make sure it doesn’t sound bad at the new pitch it got changed to. Some songs just don’t sound good pitched too. 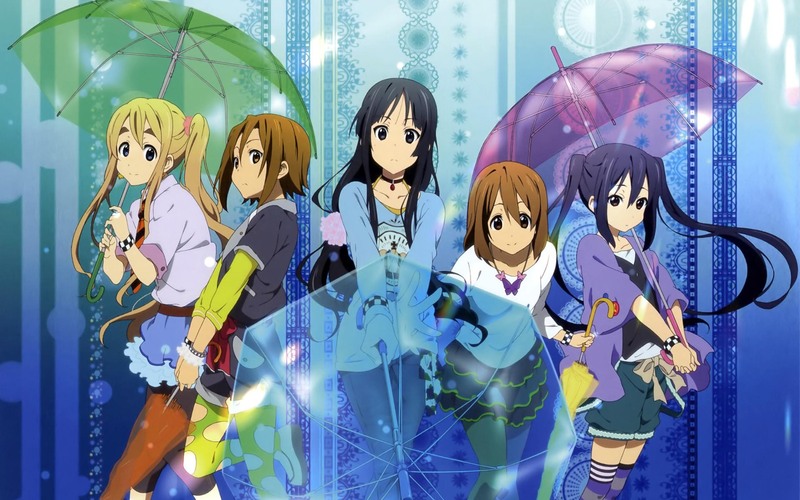 Gender switching usually happens for anime that usually has a group of a single gender group. One example is for the songs sung by the group µ’s from Love Live School Idol Project, many of their songs have male versions. 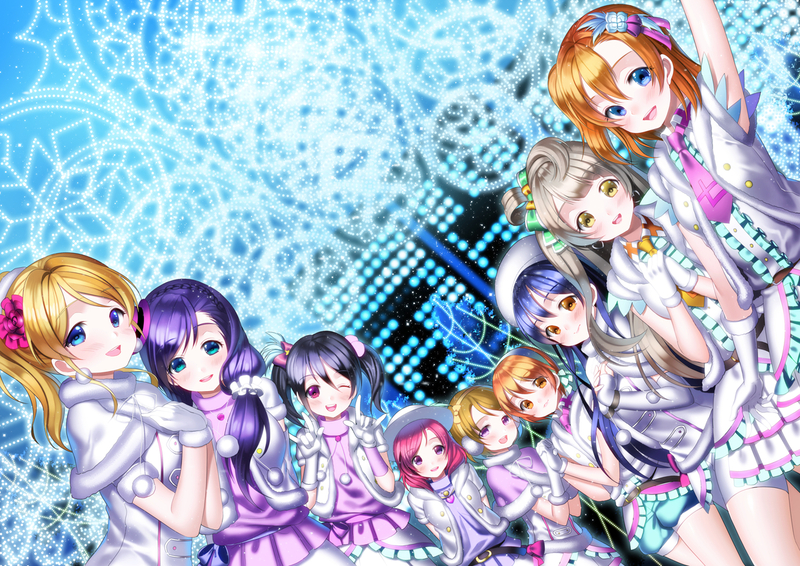 Here is a “male” version of Snow Halation from Love Live School Idol Project Season II (insert song), by zeir -chan. Here is a “Female” Version of Futatsu no Kodou to Akai Tsumi from Vampire Knight opening 1, by Varian. I believe there are less male versions made than female versions. I don’t listen to gender switched songs often, so if I am opening to learning more. Leave a comment on the bottom, and I will add it to this post and credit you. There are many different kinds of covers people can make. A cover can either be sung or played by an instrument. For instrument covers, usually people have to write out the song themselves. It can be difficult or easy depending on who is doing it. A lot of people do drum covers and guitar covers. I personally find violin covers of songs interesting because I play violin. Anything that makes a sound can be considered an instrument too. Another way to cover songs is either singers sing the Japanese version of a song or they translate the song into another language and sing it. From personal experience, translating songs can be fun, but it is also difficult. Also it can be hard to find someone comfortable with singing the song. There are many English voice actresses/actors that sing English versions of anime songs they enjoy or worked in. There are many ways to have fun changing anime music to fit different people’s preferences. It can be fun to try it and add to the collection. So, I wanted to write a short post today talking about the arrival of yuri manga getting published in English. This has been becoming the greatest thing ever. Most of the published manga comes from the company Seven Seas Entertainment. They are known for popular titles such as Haganai: I Don’t Have Many Friends, A Certain Scientific Railgun, and Mayo Chiki. However, the company also believes in giving manga fans more than just popular titles, so they have also been selling great yuri mangas as well. 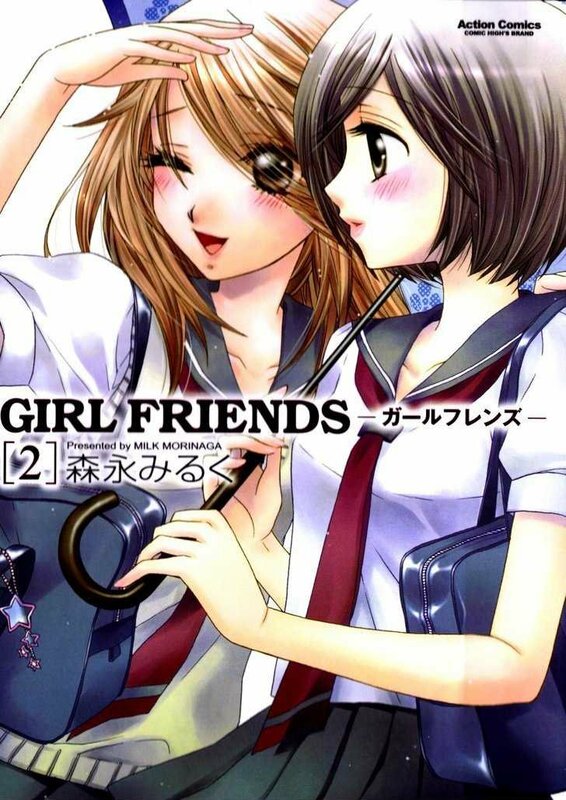 Milk Morinaga, the well known yuri author of the well loved series Girl Friends, has had three different series published just by this company alone, this does include Girl Friends. The exciting part about this is now yuri lovers can help support the manga franchise by purchasing the manga and not reading it offline. The purchasing of these mangas are also encouraged by scanlation groups. Usually when a manga becoming offically published, the site doesn’t allow people to read it online anymore. This can sometimes be dissapointing, especially when you don’t have any money for manga, but personally I get really excited when I can read manga in physical book form and call it mine. The main reason I wanted to write about this is because I just recently was able to pick up my Citrus manga that came in. Citrus has become the most popular yuri manga in recently years. I will write a review about this manga eventually, but in short it is a manga about two step-sisters who start living together because their parents remarry. The girl’s are polar opposites, and they don’t really start off on the right foot. It follows the main character Yuzu as she figures out her sexual feelings for her sister while having to choose the difficult path of just being sisters or becoming more. The story has lots of great characters and drama. The next volume of the manga is coming out on April 7, 2015, and I can’t wait. Seven Seas Entertaimnet may seem to have the monopoly on yuri manga, but recently another big yuri title has been published by another company. One Peace Books has gotten the rights to published Whispered Words. If you don’t recognize this title, because I didn’t at first either, this is Sasameki Koto. This is one of my favorite series, and I aim to get my hands on it soon. I am so hyped that yuri manga has been slowly coming to America. When I saw GirlFriends on the shelf of Barnes and Nobel, I was ecstatic. 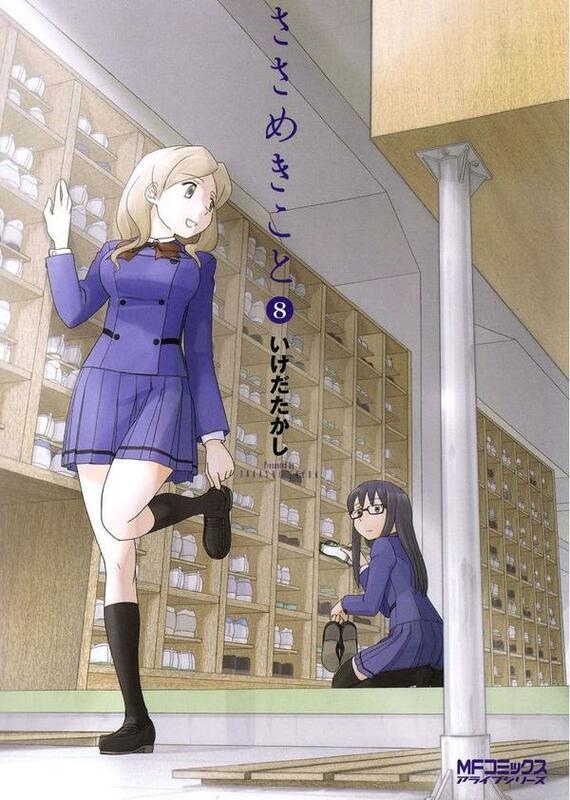 Although I admit it is somewhat hard to purchase yuri manga at the store because no one feels comfortable getting judged by the book store’s clerk. I mean the Citrus cover page is not discrete at all. You can still purchase the manga online, like through amazon, and enjoy getting your manga in the safety of your own home. Here are links to Seven Seas Entertainment and One Peace Books. The Magical Girl Lyrical Nanoha series has continued to stay alive for over ten years, and it is not stopping now. The franchise decided a while ago that they were going to make Mahou Shoujo Lyrical Nanoha ViVid. The difference between this season and the three season and two movies that have come out before is this season focuses on Vivio Takamachi. 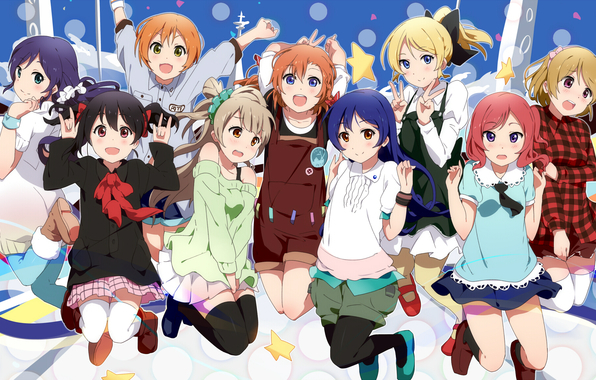 It was decided a few days ago that the anime would be coming out in the Spring 2015 anime season. The manga takes place four years after the JS incident in Magical Girl Lyrical Nanoha StrikerS, and stars Vivio Takamichi, a fourth-year elementary student at St. Hilde Academy of Magic. Vivio has learned to conjure her adult form and has received her own Device — named Sacred Heart — from Nanoha, and has promised Nanoha to never use either for mischief. Then a mysterious magical fighter appears and targets Vivio. The manga of Magical Girl Lyrical Nanoha ViVid is on dynasty-scans.com. I haven’t had the chance to read it, so I don’t really know what happens in ViVid. I am excited to see a Vivio based Nanoha season. I loved meeting Vivio in StrikerS. Hopefully, there will be a bit of NanoFate in the series, but I want to also see some Vivio and Einhart scenes too. Although it will not be real yuri, it will still be fun to see more of the Nanoha series.